Unisex Solid Canvas Messenger Bag, Size: 16"
We are a most trusted name amongst the topmost companies in this business, instrumental in offering high quality array of Trendy Canvas Messenger Bag. 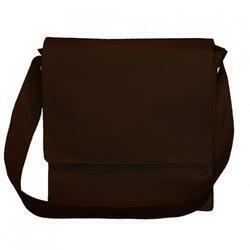 Description: This Canvas Messenger Bag is made in water repellant heavy canvas in combination with Heavy Leather.. It has pockets inside. 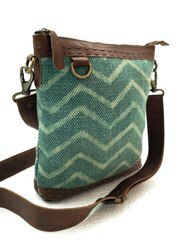 This Canvas Messenger Bag can also be used as Canvas Cross Body Bag and Conductor Bag. This can be made in different sizes. Shoulder bags in canvas. Logo can be printed / embroidered as per artwork.